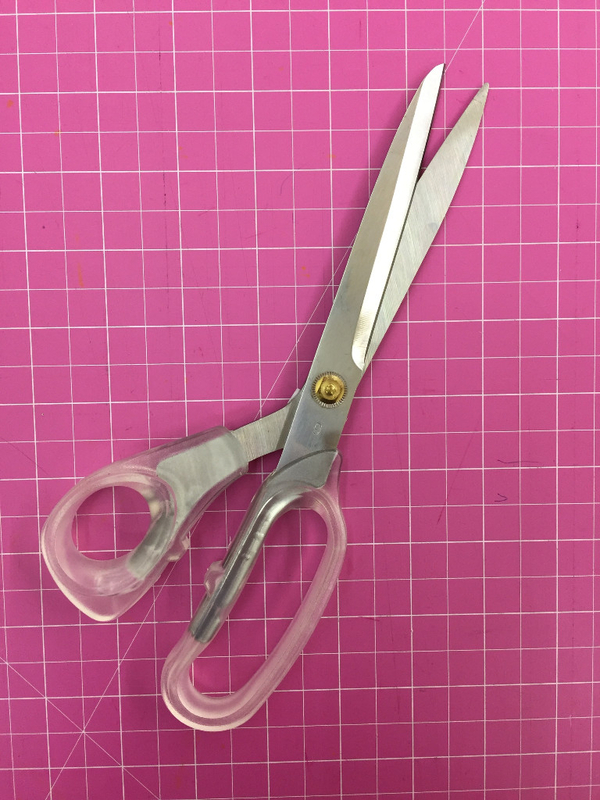 Fabric shears designed for right-handed and left-handed users. - For maintenance, oil your shears every 12 months. Drop a few drops of sewing machine oil on the pivot point of the blades, open and close the blades to work the oil in. Wipe away excess oil, especially before you cut into your fabric.